An Ecosystem for Reviewer, Professional and Business all around the world, powered and connected by Blockchain. 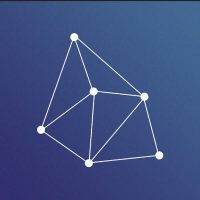 Lina.review is the platform for reviewing on Blockchain, utilizing blockchain’s immutability to produce the best possible transparencyand creating conditions for reviewers to benefit from providing quality reviews, as well as easily and directly interact with users and providers of products or services totally trustless. Lina is not just a website but it is a Blockchain-based platform so that everyone can build their own review system to develop community and manage their own businesses. All Lina-based review channels are globally connected. All content on this website is based on individual experience and journalistic research. It does not constitute financial advice. Abdul Vasi is not liable for how tips are used, nor for content and services on external websites. Common sense should never be neglected!. We sometimes use affiliated links which may result in a payment following a visitor taking action (such as a purchase or registration) on an external website.